Member of the jury for the international competition at the 7th Sao Paulo International Biennial of Architecture with Paulo Henrique Paranhos and Renato Nunes, 2007. 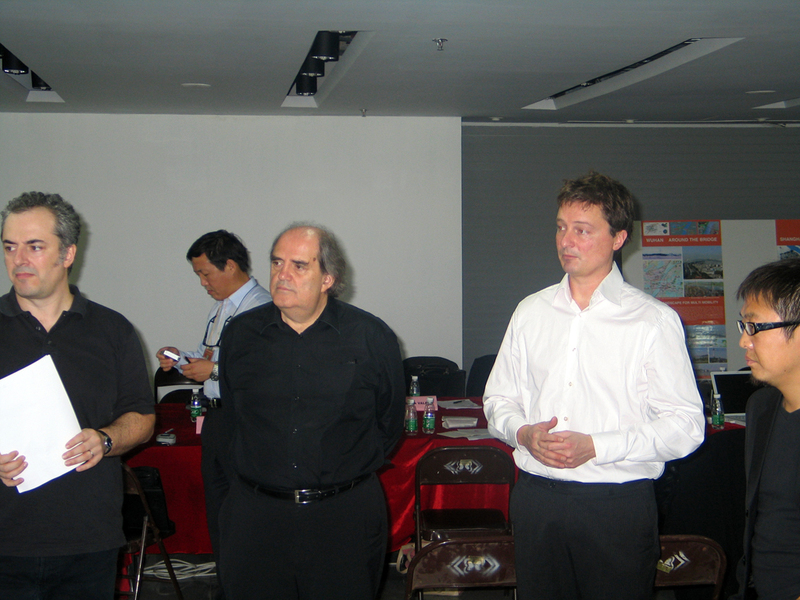 Member of the jury for the IFHP Ranko Radovic Student Competition with Prof. Malachy McEldowney, Prof. Nachio Torisu, Adjunkt Prof. Jørgen Nue Møller and Associate Prof. Peder Duelund Mortensen, 2007. Member of the organizing committee for Xi’an International Conference of Architecture and Technology. Organized by the Chinese Academy of Engineering and Xi’an University of Architecture and Technology. Held in Xi’an, P.R.China, 2006. Member of the jury for a university competition (Tongji University Shanghai, South China University Guangzhou, Huazhong University Wuhan, Berlage Institute Rotterdam, Technical University of Berlin and School of Architecture Paris Val de Seine) with Hou Hanru, Cui Kai, Bernard Reichen, Ma Qingyun, Chris Younes and Christoph Zechner. Organized by Institut pour la Ville en Mouvement, 2005.